interface to the RAMAC using now commonly available plugs. UPDATE: Oct. 24, 2006 - correction to Track Potentiomenter connections! pin B-AA does not show which polarity of Tachometer, where is return? Note - on the student end, this male plug is labled "E"
Tachometer	 AA	 No Conn.	 AA - 29	 There is a rumor that the tachometer shared a return with the solenoids - V-24 - was ground? - this may have to be changed? Some items unreadable - Marked with * or ? 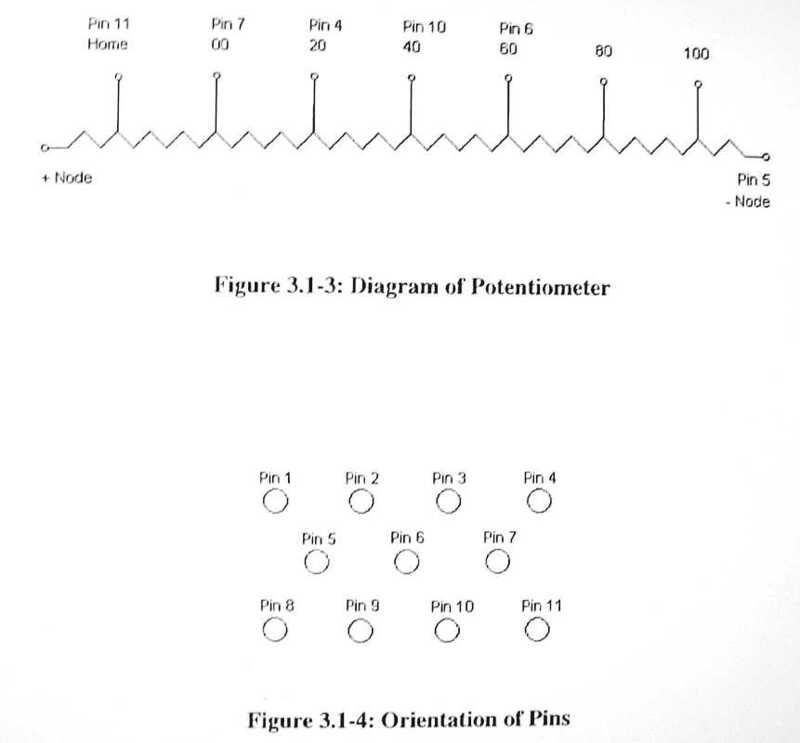 Note - on the RAMAC, this is labeled "B2", student end, this male plug is labled "F"
- ?related to Pot Pins of fig 3.1-4? "Upon taking a closer look at the data, we were able to make several obervations. 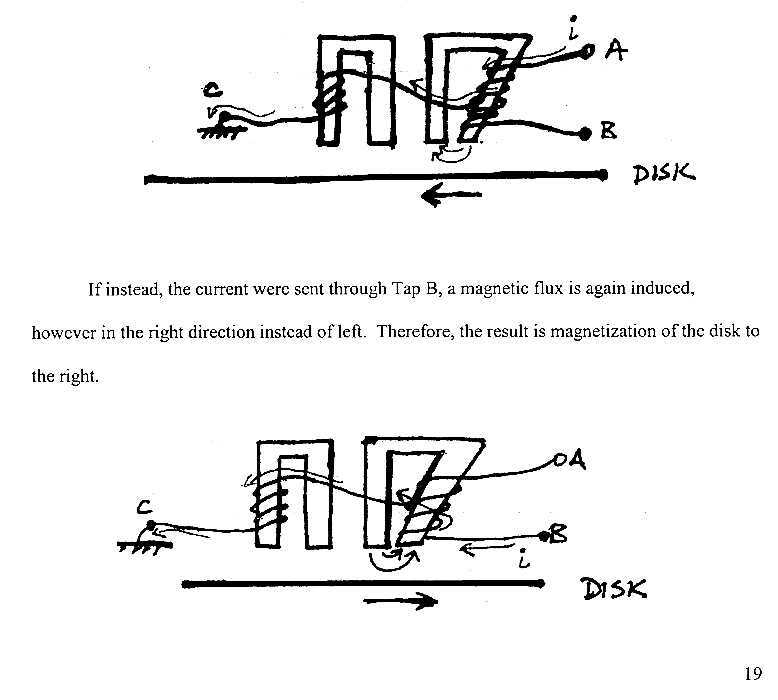 "We found that pins one, three, and eight were not conduction. They are the points corresponding to the positive node, track 80, and track 100. "We found that the gear that moved the wiper on the potentiometer has been offset by several teeth. This offset a track pin be approximately 2 tracks. For example, pin 4 originally had its origin at track 20 but today, because of the offset, pin 4 resided at approximately track 22. 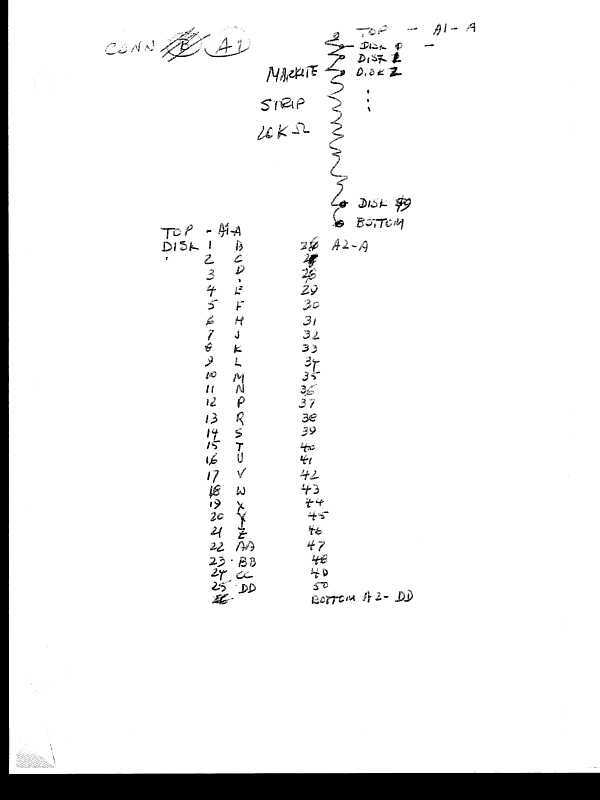 "The constant resistance step betweenn pin 5 and pin 11 shows that the potentiomenter is farily linear. 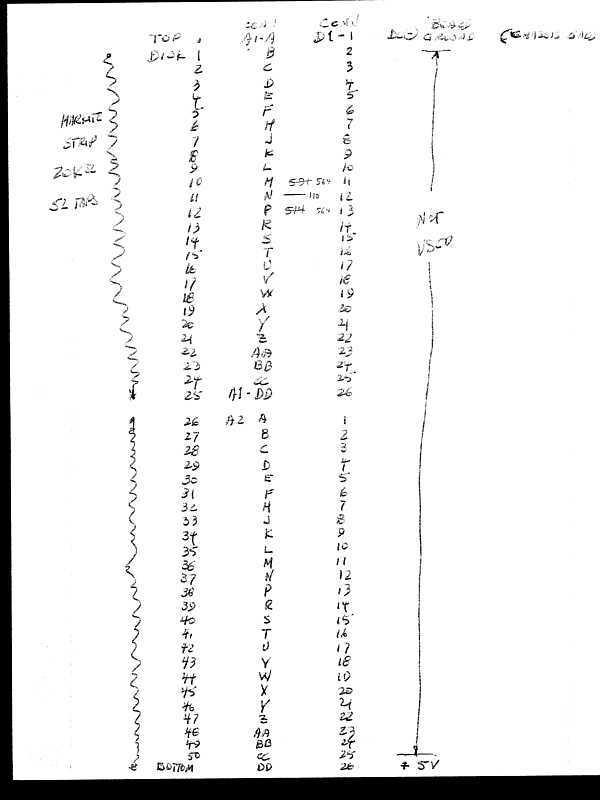 Moving from pin 5 to pin 11, we found that we had a resistance step of 3.8 KOhm between each tap." with out repairing the potentiomenter? Joe Feng - which is which? 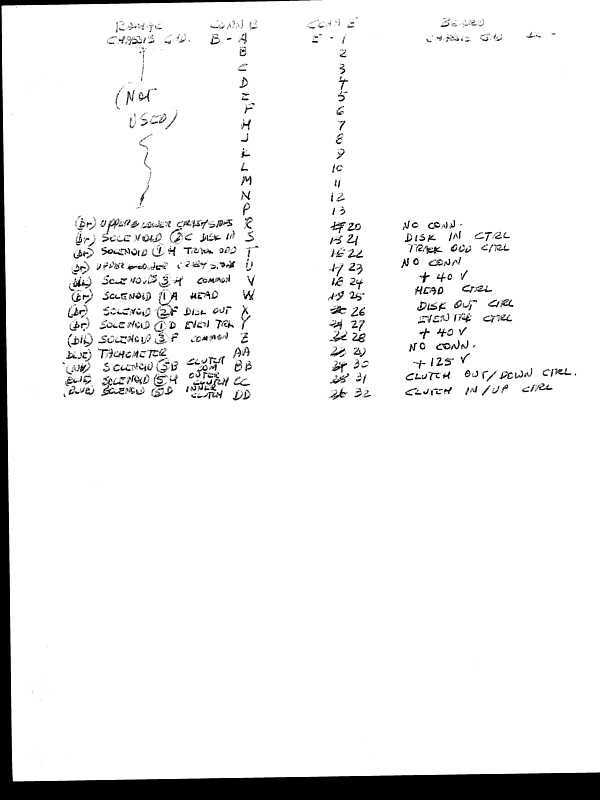 The students numbered M as pin 1, K as pin 2, F as pin 3, C as pin 4, J as pin 5 and so on. They were on the right track and if they had known the connector pin designations it would have been as obvious to them as it is to us. Pin A is not "home" as they thought, but is rather the + node. There is no "home" tap. As Al quotes the Wes Dickinson paper, home is derived from an external adjustable network. This accounts for the fact that there are only 9 wires in the pot interface, whereas if there were a home tap, 10 wires would be required. New fact number 2, there is only one open tap, not 2 or 3 as the students thought. The open tap is track 80. 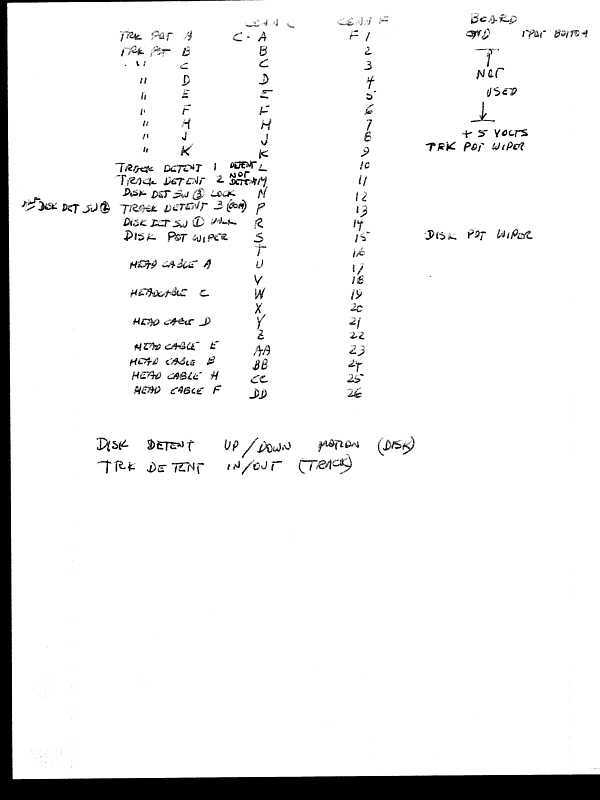 They did not mention anything for pin H, that they called pin 9, but it is connected and it is track 100. At least this is a logical pin numbering system as you would expect. So I think we are good except that one tap is open. The potted "arm" that connects the back of the pot to the 11 pin connector appears to be potted in place. I took out the 3 screws apparently holding it in place and it did not budge. Consequently, I believe that servicing the pot, no matter who does it, would require destroying the potted arm and the wiring inside it. I'm sure that we could find someone who could make us a mold BEFORE we destroy the old potting so that it could be replaced after the pot is repaired, but I think it would be a lot harder to do after the existing potting is destroyed, probably resulting in an appearance issue. Then Dave gave some task assignments relative to the above findings.